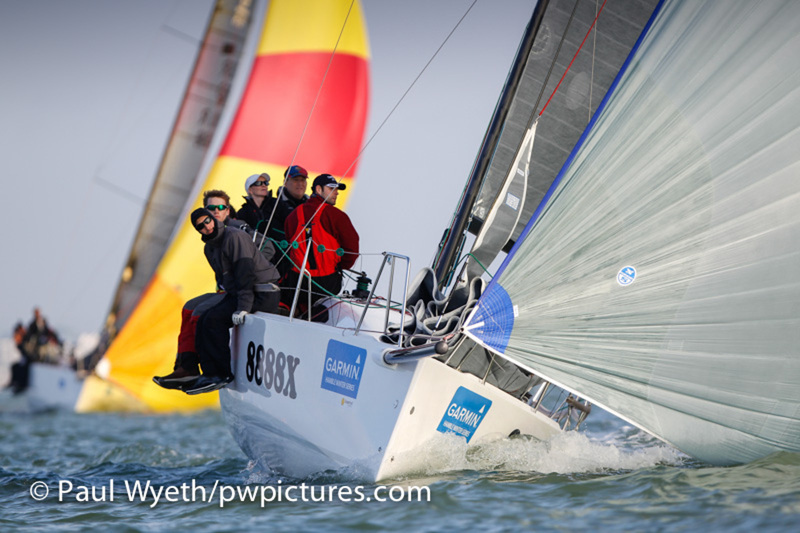 The final race of the 2014 Garmin Hamble Winter Series was ushered in by sunshine and an unseasonably warm breeze – quite a change from the previous week's biblical rain and cold wind. 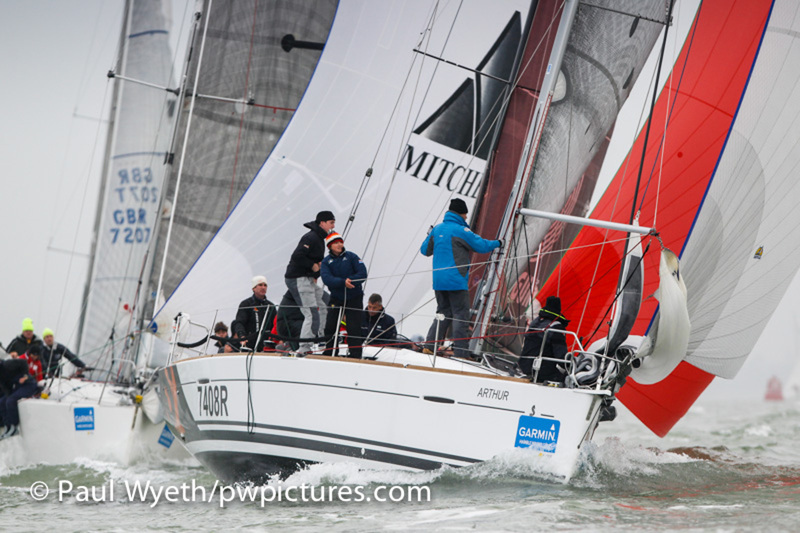 In IRC 0, Martin Dent's JElvis added another first place to her scoreline to win the class overall by eight points. 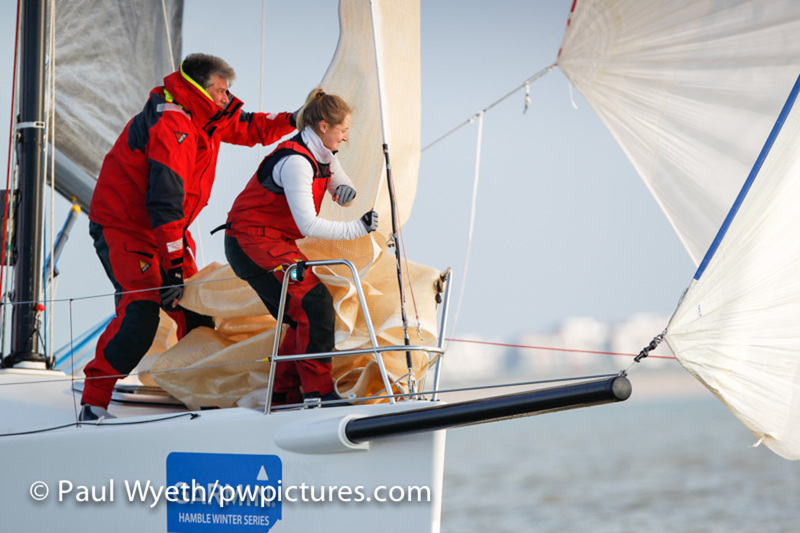 Paul Aisher's Tangent Minus 1 took second overall to take her to equal points with Louise Makin's Journeymaker II who didn't race this week, but whose score gave Journeymaker II third place on countback. 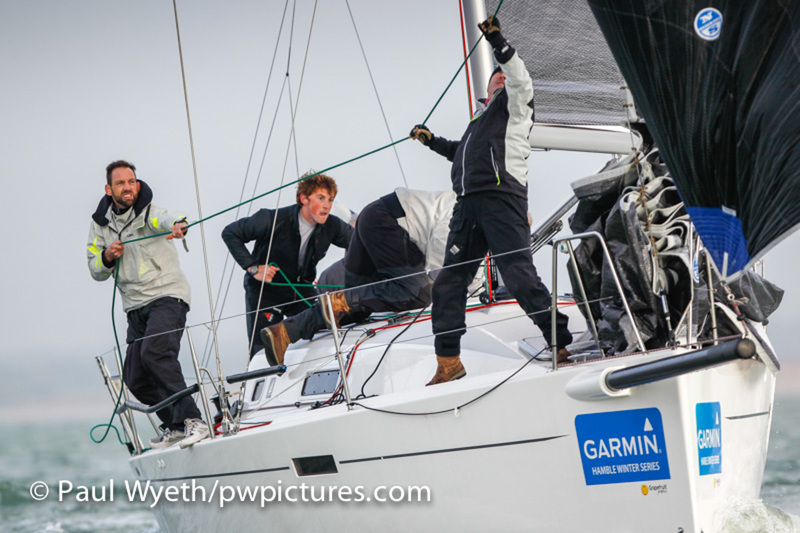 The final results gave all three podium places to J/111s, with Chris Body's Icarus second overall. 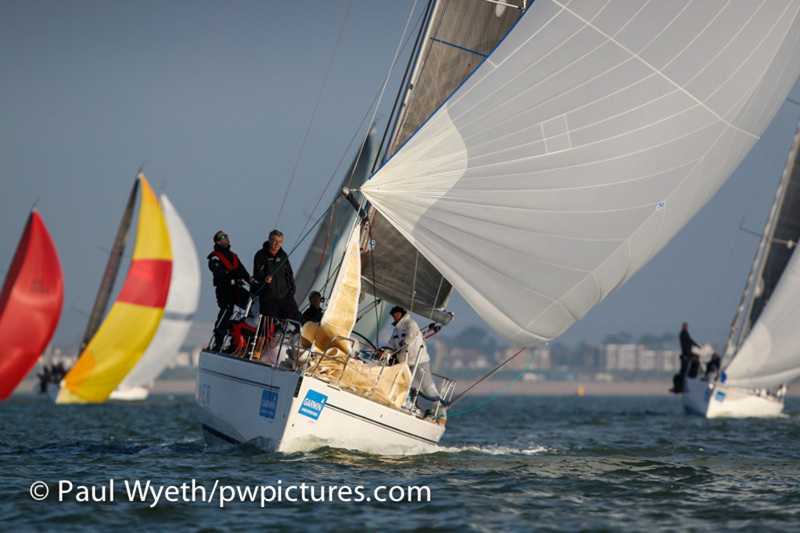 IRC1 was won by Tim Octon's Doyle Sails this week, with Mark Devereux and his Ker 32 Raygun in second. 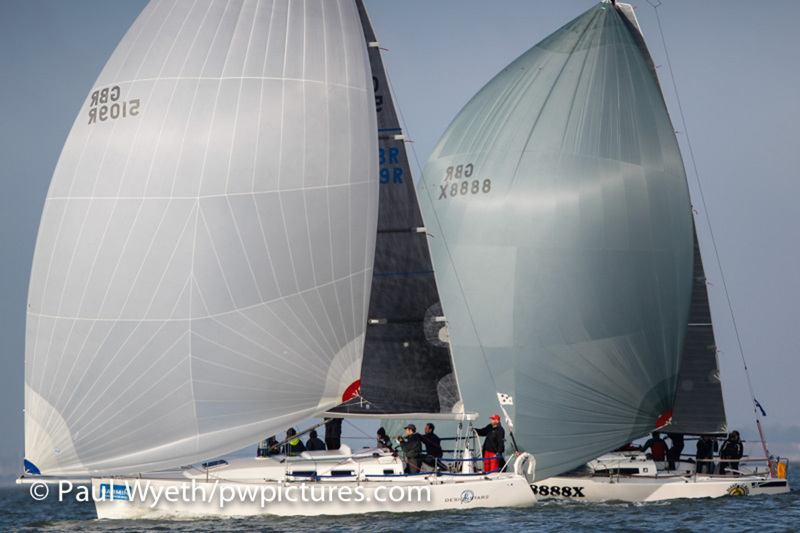 Third place went to Bernard Olesinski's Xinska, but that was still enough to hand Xinska first place overall, seven points clear of second placed Doyle Sails. Stuart Wilkie's Puma finished third overall despite a seventh place in the final race. 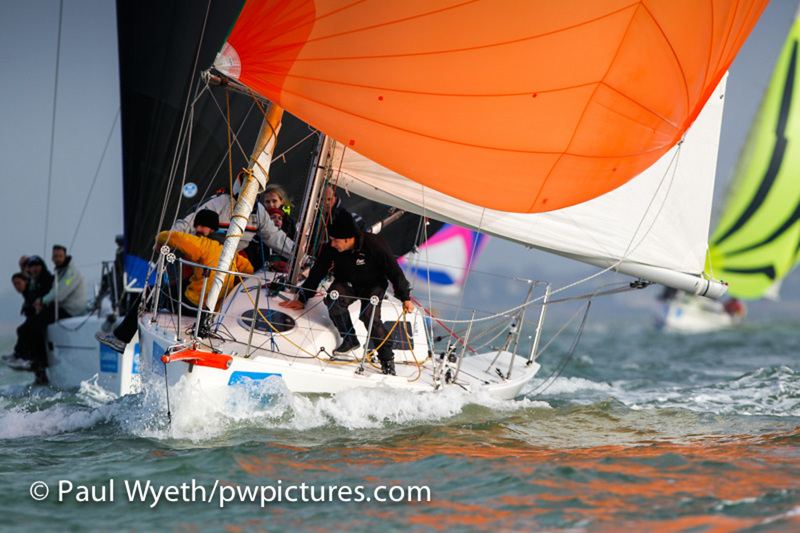 HOD35 Malice put in a great performance to post her third win of the series in IRC 2, taking her to within two points of overall winner, Richard Searle's Pincer Movement, who only managed a fourth in the final race. 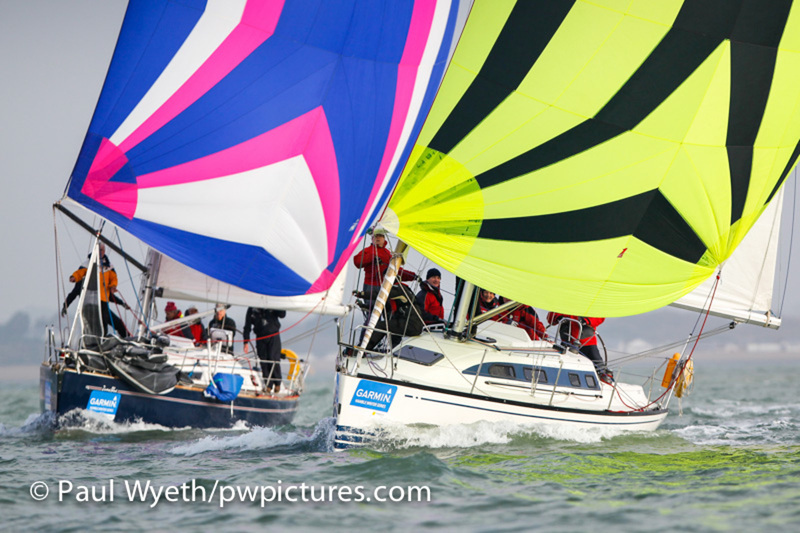 Mike Bridges' Elaine finished second on Sunday, with Lis and Robbie Robinson on Hot Rats in third, leaving them only a point behind Malice in the overall results. J/97s filled the first two podium spots in IRC 3, with Charles Ivill's ETB Tyres Just Like That first overall, four points clear of Andy Howe's Blackjack II. 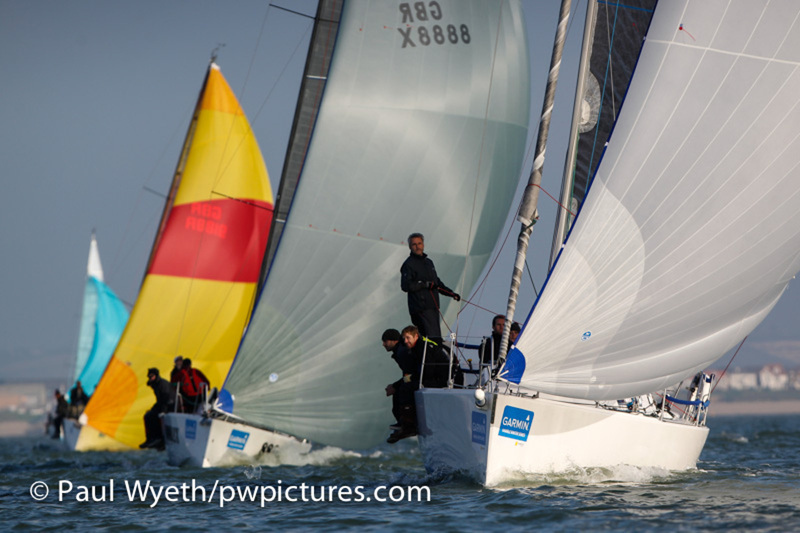 However, the final podium place was a much closer affair, with a series-long battle for third place between HRSC boats Wee Bear and La Nef IV.These two boats were within a place or two of each other throughout the series, but at the end Wee Bear's score gave them a two point lead over La Nef in the final standings. 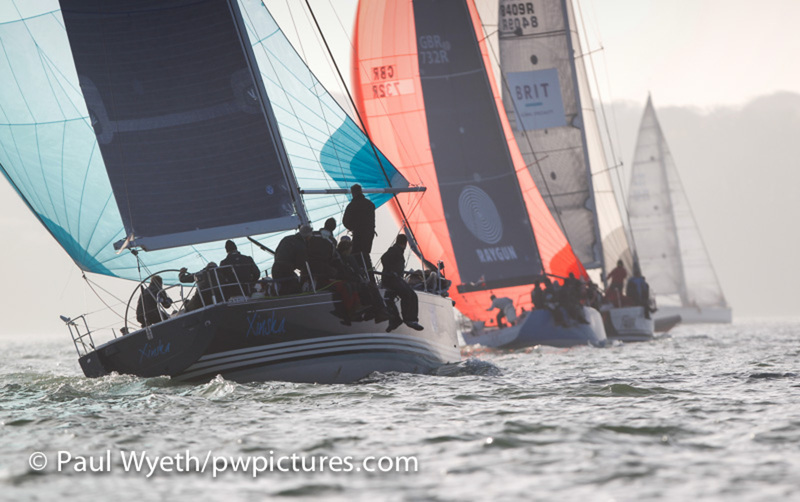 At the start of the final race, only a few points separated the top three boats, with any capable of winning the series. 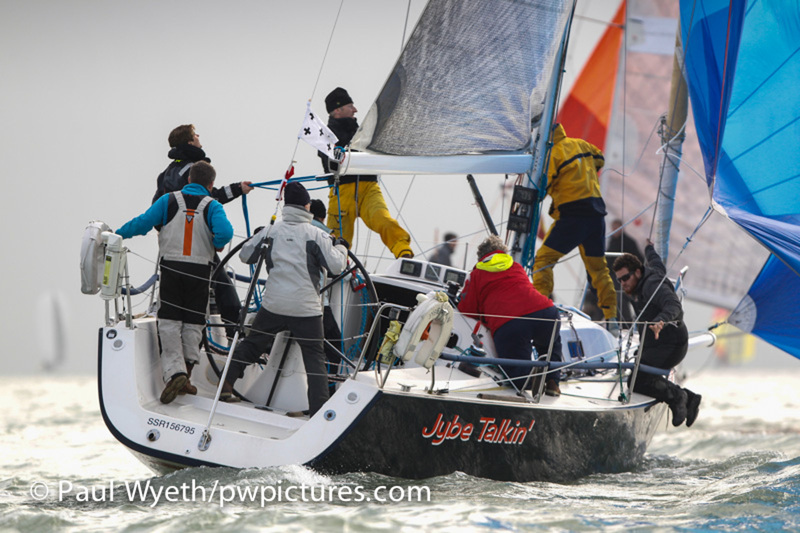 Jynnan Tonnyx won Sunday's race, with Jolly Jack Tar second – but this wasn't quite enough to knock Jolly Jack Tar from the top spot, which she won by a point. Roger Phillips' Designstar 2 fell a place to third, only a point behind second place. 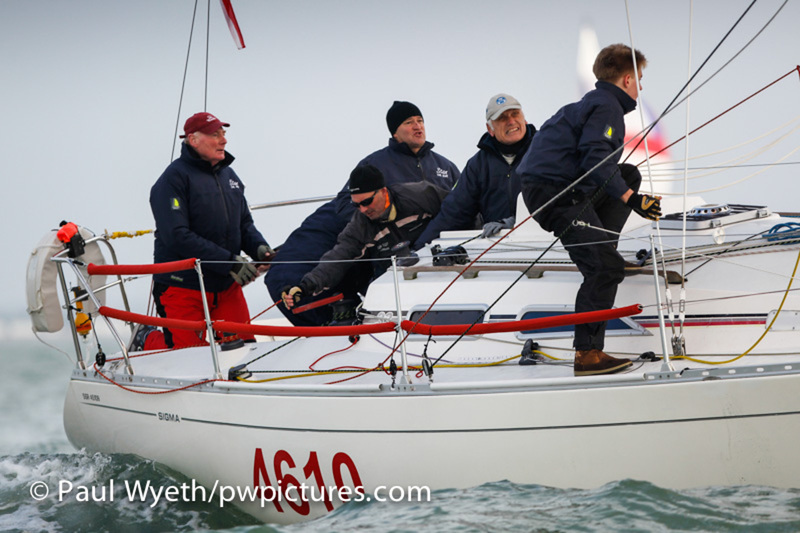 In the Sigma 38s, Nigel Goodhew's Persephone posted another first place to take them seven points clear at the top of the podium, beating With Alacrity by 42 seconds. Light was third, and these positions reflected the top three overall. 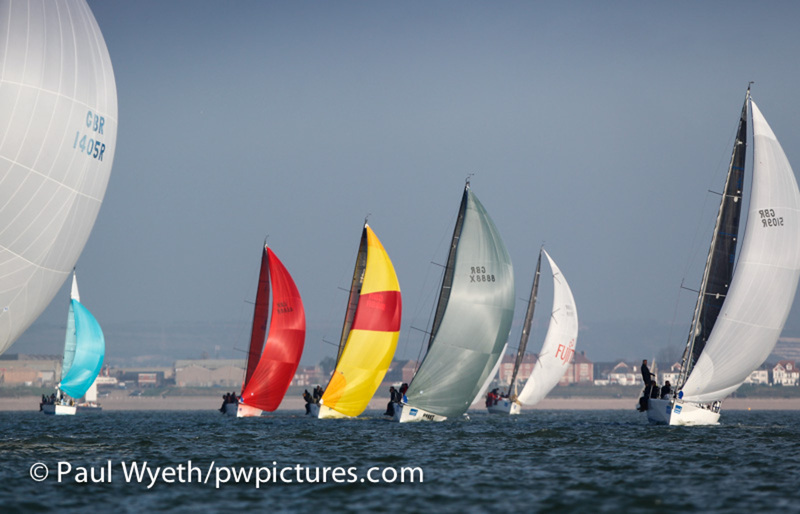 In IRC 4, things were turned on their head this week as newcomer, quarter tonner Whiskers won the class by three minutes. Impala Polly was second, with Crakajax in third. 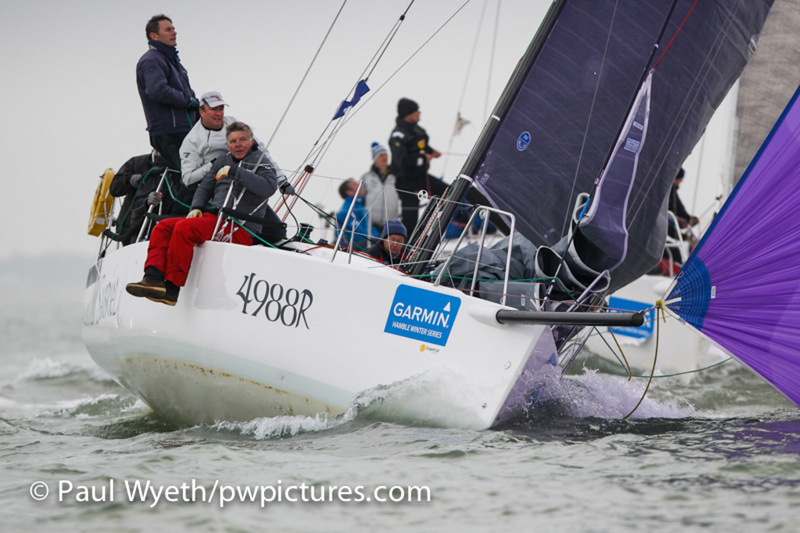 Sigma 33 Stan the Boat finished seventh, but won the class overall by three points from Crakajax, with Flashheart in third overall. 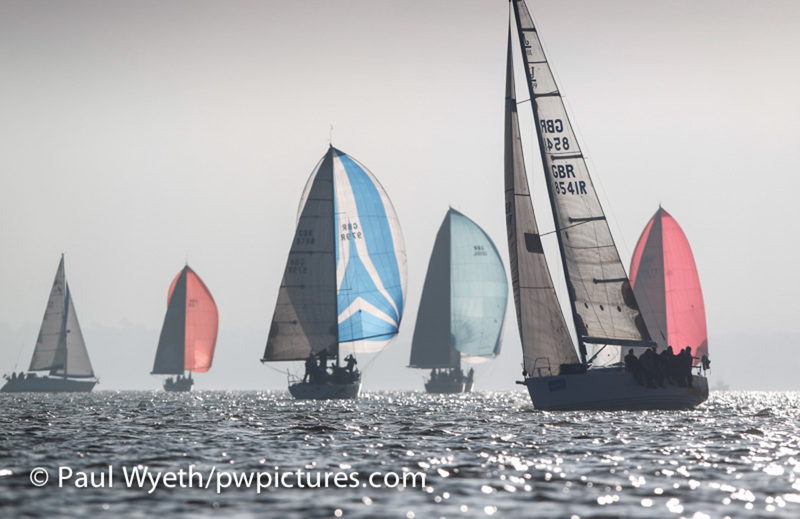 The seven-strong Impala 28 fleet, racing as part of IRC 4, was won by Polly. 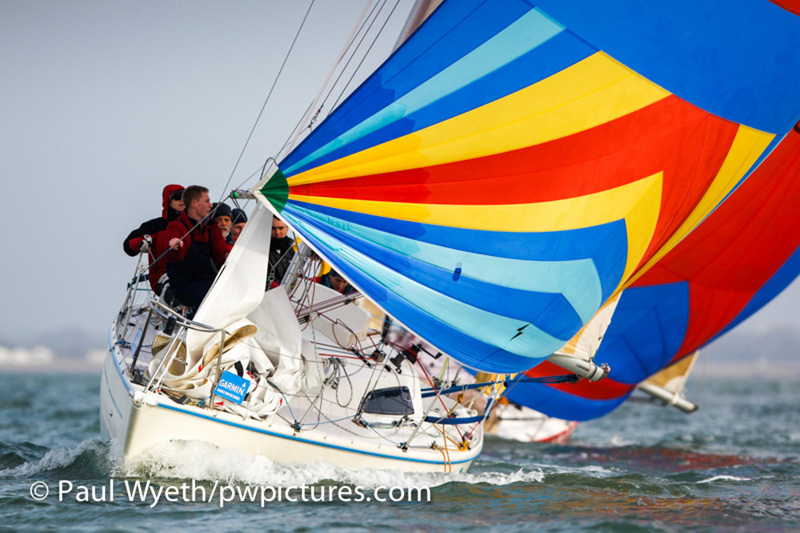 Two Frank was second Impala, with Imptish third both on the water and in the overall results. 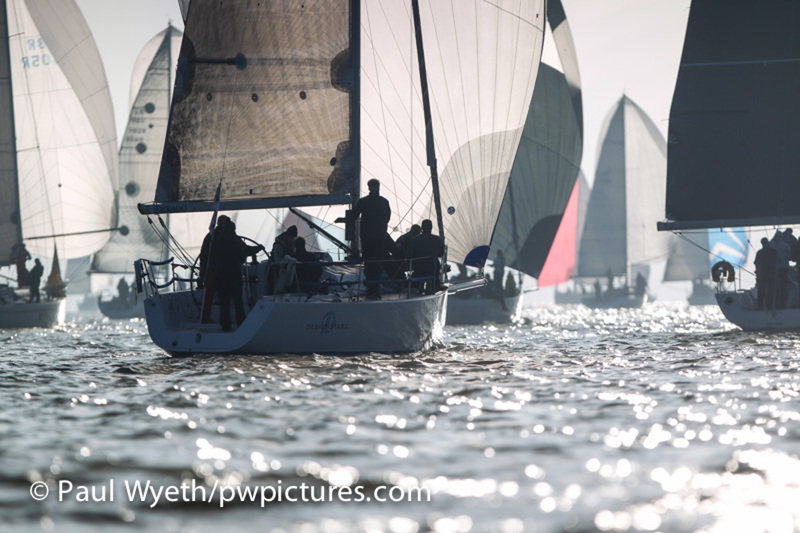 Day prizes were provided by Wadworth's Brewery, as crews with sun-kissed faces returned to the HRSC clubhouse after racing. Thanks must go to the army of volunteers who run the event, from race teams to mark-layers and kitchen and bar staff – the event wouldn't happen without them! Grateful thanks also go to the event sponsors, from title sponsor Garmin to the day sponsors who provided the weekly prizes. 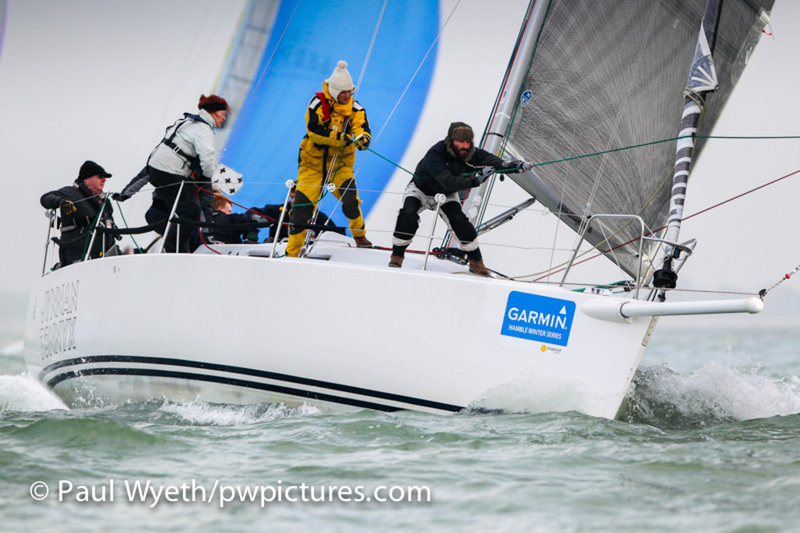 Next Saturday sees the event prizegiving at 6pm in the clubhouse, where event sponsors Garmin will be on hand to distribute prizes to boats on the podium. 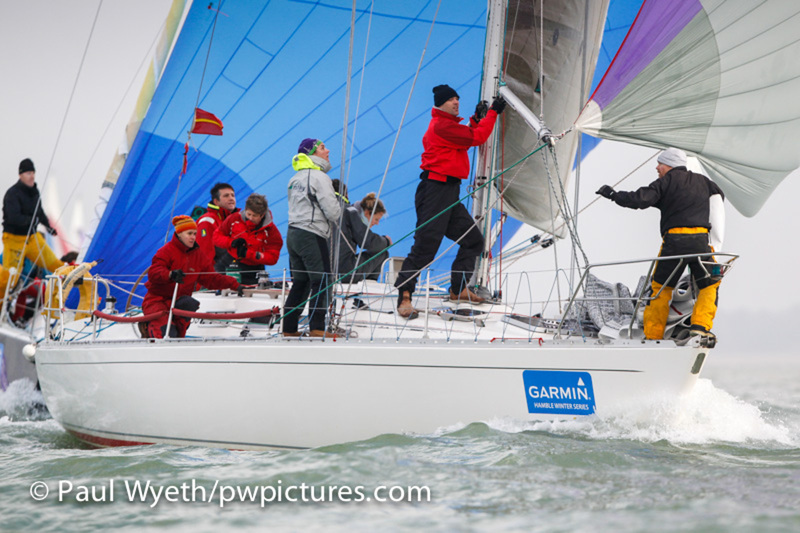 Thank you to all competitors who have sailed in the Garmin Hamble Winter Series in 2014 – we hope to see you on the water again next year!